It was no doubt a phenomenon, a new, strange case of the believe-or-not-kind. At the very least, it was definitely an anomaly. And so, day after day, new people arrived to the Brazilian city of Porto Alegre to experience it. These were artists and scientists, meteorologists and even seismologists, cloud busters, tornado chasers and other climate experts and aficionados. 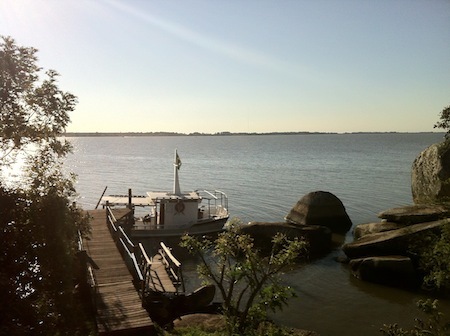 A new type of social summit had formed in the bays of the Guaiba, the site of the group’s camping and deliberations. The reason for their gathering was to observe a rare cumulus in the sky above. It was a cloud, but oddly motionless. The Cloud didn’t move naturally with the changing weather, nor was it slightly provoked by artificial wind-machines. The Cloud was simply there, anchored to the atmosphere. And it was slowly growing, getting puffier as the weeks went by. Theories of The Cloud’s appearance varied. Some claimed it was actually Laputa, stranded because of some magnetic revolution happening in that floating island. Seismologists and writers had concocted that theory, noting that the grounds of Porto Alegre were shaking even with in the absence of fault-lines, and arguing that fiction had previously predicted other happenings, even geographies. Some others considered The Cloud a UFO in camouflage. No later did this theory circulate when welcome receptions for extraterrestrial aliens were thoughtfully organized. The newly settled campers felt the strange forces of The Cloud, saying they levitated like cumuli; the locals, for their part, felt more and more attracted to each other. Everyone was happily floating. A new language was created in The Cloud’s honor, a new typeface, too; they called it Porto Alegre. As it happens, much before The Cloud appeared in the sky, the Fundação Bienal de Artes Visuais do Mercosul had secured air-rights over the Guaiba in preparation for the 9a Bienal do Mercosul | Porto Alegre. To their luck, this meant The Cloud could be technically included in their upcoming exhibition. The Biennial organizers thus gathered in the bay, inviting locals and campers to a rain dance in celebration of this peculiar inclusion. No cloudbursts came about. But the assiduous organizers didn’t stop there, importing a rainmaking machine invented by Juan Baigorri in 1938—considered lost for years, much like the Meson de Fierro meteorite, sought once by Baigorri. Then, The Cloud reacted. It poured. Published in conjunction to the 9a Bienal do Mercosul| Porto Alegre, The Cloud is a book that gathers texts by Jules Verne, Vilem Flusser, Bruno Latour, Maria Lind, Monica Hoff, Walter de Maria, and Abraham Cruzvillegas, among others. 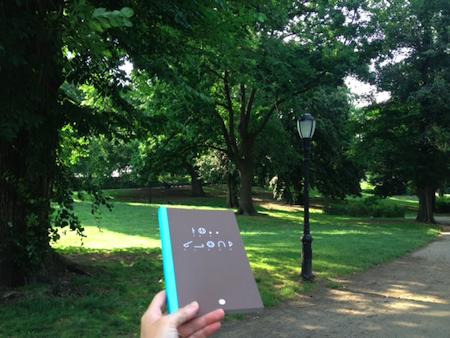 The English edition of The Cloud was released yesterday in a sundown picnic—with overcast skies, and eventually some rain showers—at Fort Greene Park in New York City. The Portuguese edition of this book, A nuvem, as well as its Spanish edition, La nube, have or will be realsed between May and July 2013 in the cities of Porto Alegre, Recife, Sao Paulo, Pelotas, San Francisco, Mexico City, and Amsterdam. 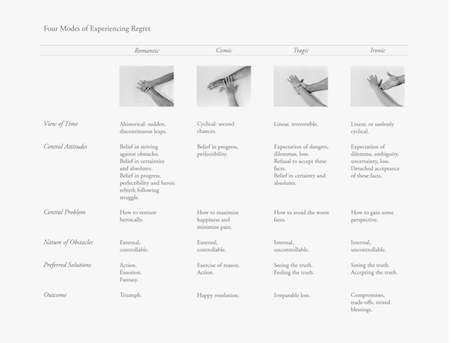 All language editions are published in print and as e-books, and have been designed by Project Projects, New York. 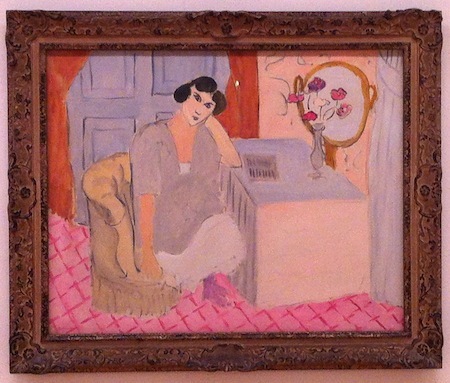 More information at: www.bienalmercosul.art.br. Pictured above: The Cloud in Fort Greene Park. Photo by Sarah Demeuse.